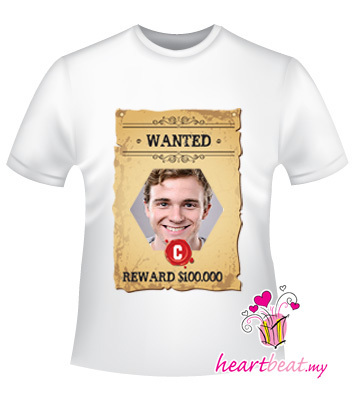 Design personalized t-shirts online by searching from our various of unique design ideas. You can choose from our t-shirt design ideas such as HOROSCOPE TEE, I LOVE TEE, MESSAGE TEE, PHOTO TEE & COUPLE TEE. You find the design that you desire, pick the shirt size and quantity, we'll print it and ship it. You can choose a funny or meaningful image with a cool saying to create a t-shirt. In addition, you can also choose to use text only with your creativity in order to create your personalized t-shirt. Personalized t-shirts are suitable to use as gifts for a gang of friends or classmates as well. For example, you can print "BeSt Friend" with the group/class photo on t-shirt as a graduation gift, birthday gift or just for FRIENDSHIP. i really appreciate that u guys help me design my LOVE TEE! 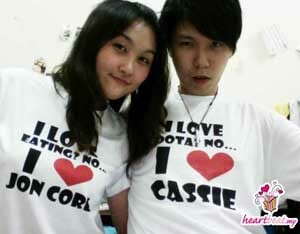 me and my boy friend love it so much~ but at 1st he said that he dun dare 2 go out with this shirt ~ lol! but end up~ he is wearing this and playing his dota~ =D and he said that he will wear it! WOOHOO!!! it is really happy 2 get presents for him and 2 get his present! i love the Tee shirt quality! each of us get 1... then we are going 2 purchase 4 shirts! wow!